It feels like not too long ago that we needed custom service brokers with coding and quite a bit of work to surface any SmartObject data into Excel. And it just so happens that this is a very often requested feature that I have seen in so many customers. So while we have some nice custom brokers to do this these days, I have never been a big fan of writing code in Office to update documents. Well, the good news is that there is a much easier alternative available now. So let’s have a look at what that looks like. The concept is that you will expose SmartObject data through an oData web service. Excel is then able to connect to oData services as an external data source. First you need to enable oData for SmartObjects in the K2 management console. 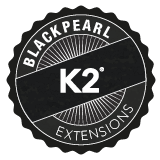 Open the K2 Management site and then navigate to Integration > APIs > SmartObject OData. Toggle the SmartObject OData API to on. Now you can select which SmartObjects you want to make available. You can either select only certain SmartObjects, all but exclude certain SmartObjects, or make all of them available (which is obviously not recommended because it would be possible to retrieve interesting information from your server with that. So in the example here I just selected a few of the built-in K2 reporting SmartObjects to pull some data about our process instances. 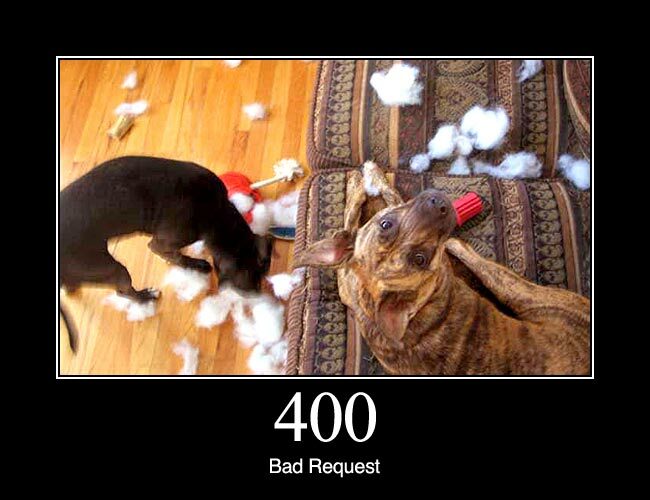 Note that the record limit is set to 1000 by default. In my environment this will be more than enough, because I do not have a lot of data on here, but you may need to evaluate this setting in your environment to determine what will work best. Right – now, let’s hit “Apply Changes” and then go check this out. On the configuration screen you can see that it conveniently provides you the oData end point URL. So let’s load the URL and see what’s going on. You should see an XML document loaded that describes the available Smos that has been published for your environment. This means we are good to go. If you see some error message here, then you will need some troubleshooting to fix it. So with this we know we have SmartObject data exposed as an oData service, so let’s see what we can do with this in Excel. Open up Excel and go to the data tab. On the data tab you can click on Get External Data from Other Sources. Then click on From OData Data Feed. Copy and paste the URL that we used before, and select your authentication options. I had to select “Use this name and password” on my VM to work. (PS: If you need AAD then come back soon for more details on how to do that). Next you can select the SmartObjects tables you want to load. You can load multiple or just one. Up to you. Lastly you can save the connection and finish this wizard. I did not change anything here and just clicked on finish. Now you can select where to place the imported data in your Excel. I would recommend to put it in a blank or new worksheet. I think this will be easier to manage growing data sets. Viola!! There you have Smo data in your Excel. What you do with this next is of course up to you, but you should be able to use this data in any other sheets in the Excel document with formulas, graphs and what not. 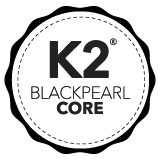 The K2 SmartForms debug table is a concept that has been floating around our team for a while and which brings out some very interesting discussions in our best practices meetings whenever it is being discussed. Some people are very much in favour of it, and some people does not like it at all. Either way – I’d like to share the concept with you today. I agree that it is not applicable to every situation and to every project. If you have larger and more complex forms and views in your projects then you probably will find a lot of value in this. The one with the Process that cannot be seen in the P&D selection screen. The one with the “Unable to find assembly” with K2 Connect for SAP. 10702 An error occurred in the ConnectService service instance. Unable to find assembly ‘*********SAP*****, Version=1.0.0.0, Culture=neutral, PublicKeyToken=null’. 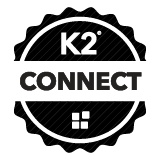 We restarted the K2 Connect service, refreshed the K2 connect service instance, make sure the username and password was provided correctly, etc, but nothing seemed to work. Eventually I found that I also had to restart the K2 Host Server. The reason being that the dll in memory by the K2 Host Server and in K2 connect is now slightly different and that is why you are getting the error. So I restarted both K2 Connect and K2 Host Server and everything was back to normal. Hope that helps someone out somewhere. Quick random tip of the day. 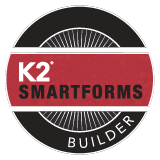 If you need to put your smartforms runtime site in maintenance mode for a period of time while you are doing a deployment or some other maintenance (updating K2 or whatnot) then there is a very quick trick that you can use. This picture says it all… This is from the SharePoint Conference 2014 at the Developers keynote. Awesome to see the exposure from Microsoft. K2 and AvePoint have teamed up to for a roadshow of the latest insights around Business Applications, Workflows, Cloud Computing and Governance inside of SharePoint. Sounds like fun! This roadshow is aimed at the Scandinavian region and will be held in Oslo, Copenhagen and Stockholm, on March 18, 19 and 20 respectively.